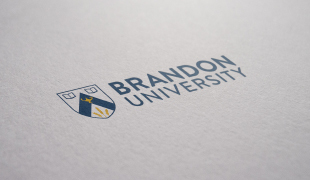 The Brandon University visual identity includes our logo, colours and typography, along with related graphic elements and design style. When presented together harmoniously, they display a unified image of Brandon University that supports our mission and our message. Use of the Brandon University name and related marks is guided by the Marketing and Communications Office, following Board of Governors policy. On this page, we provide downloadable Word templates, PowerPoint templates, and logos for all appropriate use. These templates cover most uses of print or digital communication and are provided for appropriate staff, faculty and administrative use only. To be used in conjunction with preprinted letterhead. To be used for internal communications. To be filled out digitally, printed, then faxed. To be filled out digitally then used as needed. These templates cover the most common presentation uses and are provided for appropriate staff, faculty and administrative use only. To be used to complement oral presentations. To be used to help create photographic galleries. Our logo is freely available for news media use or to fairly depict Brandon University in a nominative way. Misleading or fraudulent use is expressly prohibited. Contact the Brandon University Marketing and Communication Office with any questions, for approval of particular uses, or for specific file types and sizes. Faculty logos and department identifiers are also available upon request.